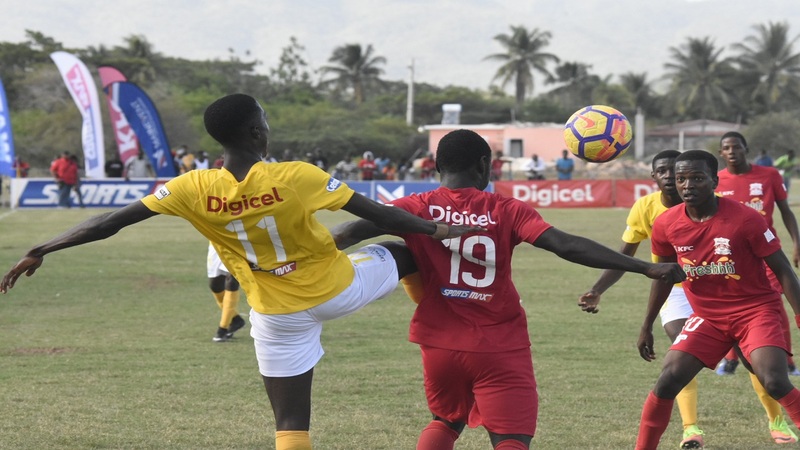 Three-time champions Camperdown High and Holy Trinity High can secure their spots in the semi-finals of the 2018 ISSA/Digicel Manning Cup, when the competition resumes on Saturday with the second and penultimate round of games in the quarter-finals. After the opening set of quarter-final games, Camperdown High and Holy Trinity were the only teams to secure a victory. If both teams secure victories on Saturday and the other two teams in the respective groups drew their matches then Camperdown High and Holy Trinity will qualify for the semi-finals. Camperdown High, which have won the Manning Cup in 1978, 1979 and 1982, will face 22-time champions St George’s College in the second game of a Group I double-header at Calabar High at 3:00 pm, while Holy Trinity High will tackle last season’s beaten finalists St Andrew Technical High School (STATHS) in the second game of a Group G double-header. That game will take place the Stadium East field, also at 3:30 pm. Both Camperdown and Holy Trinity are leading their respective group by two points. 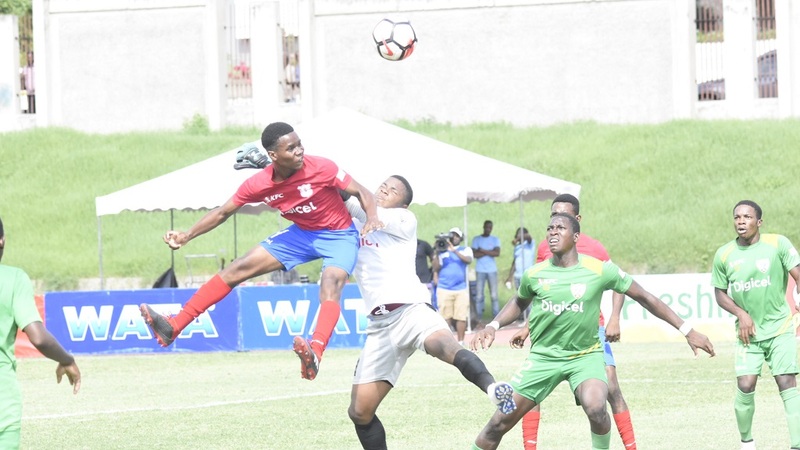 Camperdown secured their victory on Wednesday’s opening day of quarter-final actions by defeating Charlie Smith High 3-2 at the Stadium East field, while the two other schools in the group – Kingston College (KC) and St George’s College battled to a 0-0 draw. 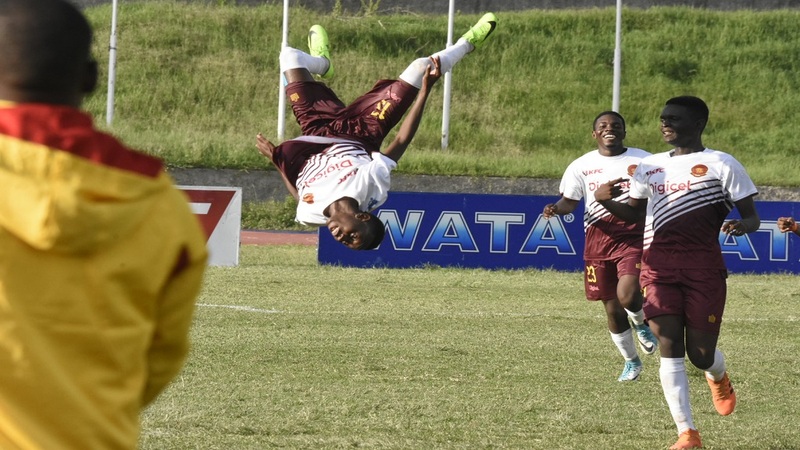 Holy Trinity defeated Wolmer’s Boys 2-1 on the day, while the other two schools in the group – five-time defending champions Jamaica College (JC) and the team they beat in last season’s final, STATHS played to a 0-0 draw. Camperdown will face a very competitive St George’s College, coached by Neville ‘Bertis’ Bell. Both Camperdown and St George’s College are undefeated this season and based on what transpired so far, the teams look evenly matched. In the home-and-away preliminary round of the competition, Camperdown easily won Group B after securing eight victories from 10 games. The other two games ended in draws. At that stage of the competition, St George’s College won Group A with identical statistics as Camperdown – winning eight of their 10 games and drawing the other two. St George’s College easily advanced out of the second round playoffs against Mona High; while Camperdown, drawn to face seven-time champions Excelsior High, won the two-leg fixture 1-0 on both occasions to get into the quarter-final round. St George’s College took care of Mona High 4-1 and 3-0 at the second round stage of the competition to easily get into the quarter-final round. Holy Trinity are expected to have a very tough assignment against the unbeaten STATHS, which won eight of their 10 games at the preliminary stage of the competition and then went on to edge out Hydel High in their second round playoff. STATHS won the first leg 1-0 while the second leg ended in a 2-2 draw. Holy Trinity suffered two defeats at the preliminary stage but won their other eight games. At the second round stage of the competition, Holy Trinity easily overcame St Jago High 2-0 and 3-0 in their playoffs. Meanwhile, KC which are searching for their first Manning Cup title since 1986 and JC cannot afford to drop any points on Saturday. KC, whose perfect record was shattered by St George’s College in a 0-0 draw on Wednesday, will now face a very tough Charlie Smith team in the first game of a double-header at Calabar. The match is scheduled to kick off at 1:00 pm. Charlie Smith, which are without a point after their 3-2 defeat against Camperdown High, need a victory to get back on track. 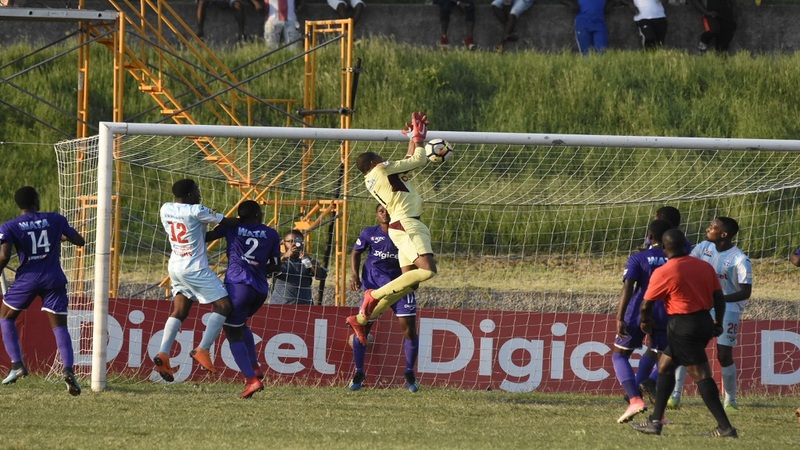 JC have a tricky assignment against Wolmer’s Boys, which need a victory to get back on track after going down 2-1 to Holy Trinity on Wednesday. The match is the first game of a double-header at the Stadium East field and will kick off at 1:00 pm.